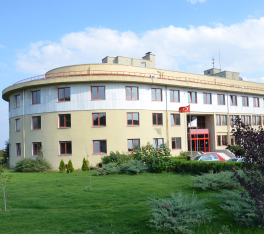 For the contributions and investments to the University, the University was named “Abant Izzet Baysal University” with a decree numbered 3837 issued by the Turkish Grand National Assembly dated 3rd of July 1992. 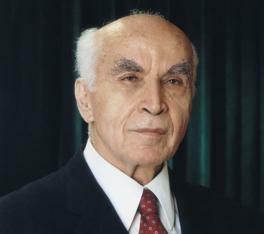 Suleyman Demirel the former President of Turkish Republic, said “Abant Izzet Baysal University is the only state university which is supported by a powerful foundation; this example is needed to be spread to the whole Country” during an opening ceremony in Bolu. 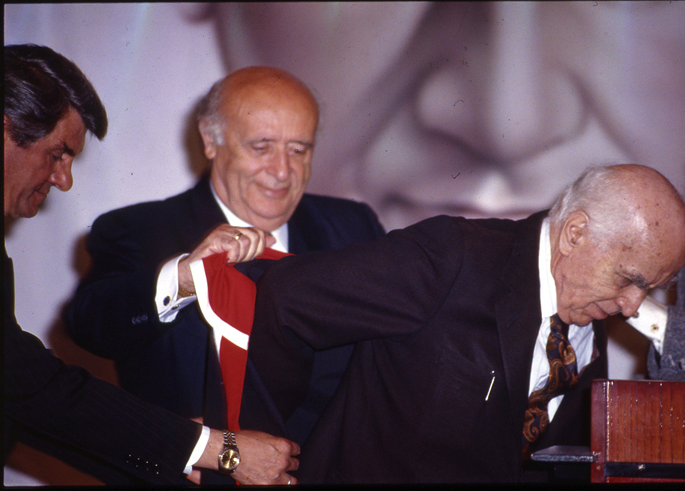 Izzet Baysal was given “Honorary Doctorates” in “Education” by the Senates of Abant Izzet Baysal University on 11th May 1993, METU on 28th May 1998, Mimar Sinan University on 3rd of March 1997, Hacettepe University on 3rd of November 1997, and Anadolu University on 28th September 1998 “Education”. 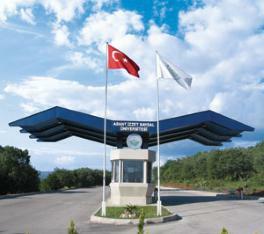 The Grand National Assembly of Turkey has given the Izzet Baysal Foundation the “Grand Service Reward” in 2006. 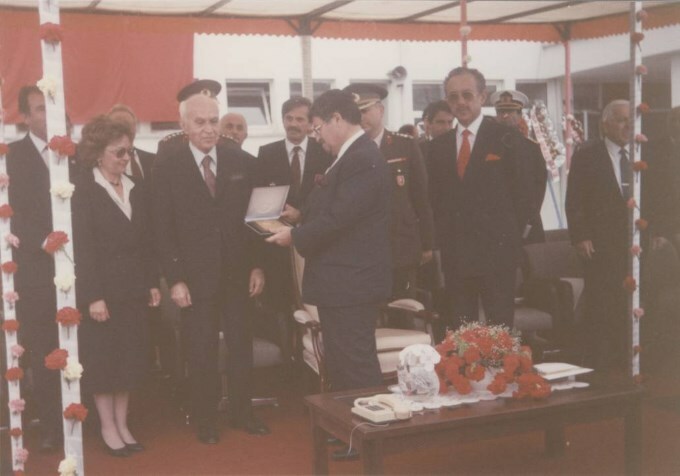 He was honoured with the “Grand Service Medal” of the Turkish Republic by the former President Süleyman Demirel on 4th October 1994, according to the part (c) of the second section of the law of “Medals” dated 24th October 1983 with the number 2933. İzzet Baysal Foundation is the first foundation which is honoured with the “Grand Service Reward” by the Grand National Assembly of Turkey on 2nd May 2006. The people of Bolu have given him the title of “Father of Bolu”. The Assembly of the Municipality of Bolu named the main street of the city as “Izzet Baysal Street” on 7th October 1987 with the decision number of 146. His busts were erected in front of some of the buildings and also a statue of him at the best place of the city centre of Bolu in his lifetime. The statue of Izzet Baysal built after his death was unveiled on 11th May 2001 in the University Campus. Thus, being one of the first people whose statue was erected while still alive, he is the first person to have two statues erected in a single city. He is the first person in Turkey and also in the world to have a university built and donate it to the State without any expectation in return. A section of the Culture Centre of the Abant Izzet Baysal University has been designated as the Izzet Baysal Museum.By the Municipality of Bolu, the neighbourhood, where “Behiye Baysal Vocational High School”, “Behiye Baysal Primary School” and “Canip Baysal High School” are located, was named after him as “Izzet Baysal”, (1998). The lands of these schools were handed down by the late Behiye Baysal and in turn were donated to the respective schools. The development plan of Gerede was made by Izzet Baysal in 1932. 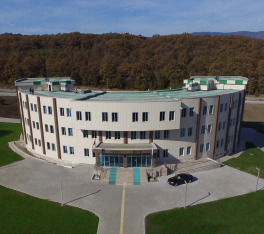 For the contribution to the development plan of Gerede, the Assembly Members of the Manucipality of Gerede named the neighbourhood, where the Abant Izzet Baysal University’s Vocational School is situated, as “Izzet Baysal” on 21st June 1995, with the decision number of 3/18. 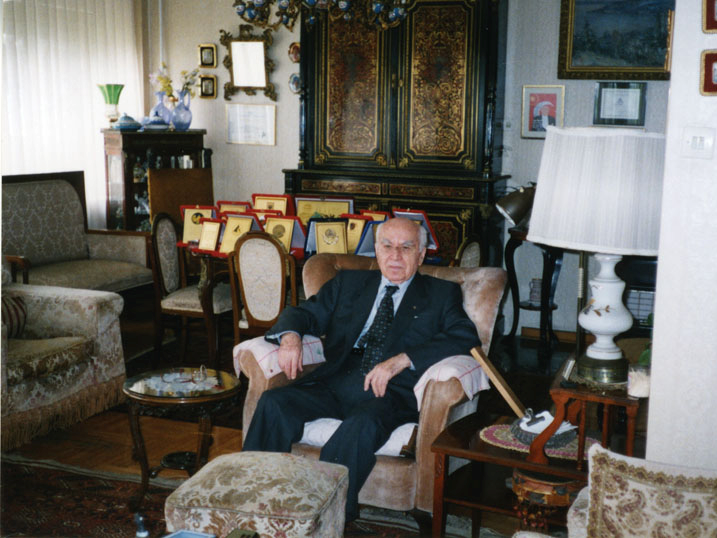 Chamber of Commerce and Industry of Bolu, with a decision dated 28th February 1996 numbered 2 of the Assembly Members, decided to have a “Izzet Baysal Corner” thus making the pioneering industrial, and business life of Izzet Baysal and his charities to the city of Bolu monumental. The Municipality of Bolu declared the 11th May as “Izzet Baysal Thanksgiving Day” in 1990 and the Abant Izzet Baysal University also declared the 11th May as “Izzet Baysal Days” in 1995. Since 2002, it is celebrated as “Izzet Baysal Thanksgiving Days”. In 2007, with the leading role of the Governance of Bolu, preparing the instructions for “Izzet Baysal Thanksgiving Days, and Culture, Art and Tourism Festival”, presented it to the opinions of the institutions, establishments, and the Civil Society organisations and took effect signed on 7th November 2008. After the acceptance of the instructions, every year on 11th, 12th and 13th of May will be celebrated in an atmosphere of festival for a duration of three days. 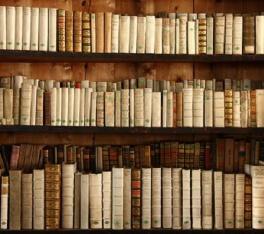 Every year, celebrations are made for a period of one week starting on 11th of May. This celebration takes place by wide participation of chiefly the Governance of Bolu, Municipality of Bolu, Abant Izzet Baysal University and also the whole education and health institutions, other institutions, establishments, and the Civil Society Organisations hand in hand with the People of Bolu. The decision allowing his Monumental Tomb to be made in the University bearing his name was ratified by the decision of the Assembly of Ministers dated 11th November 1995 and the number 94/6273. When asked which of his charities was more valuable, the reply that Izzet Baysal gave is most meaningful “the love that I see in the eyes of the people and youth is worth all these”.